A memorial flower is left by a name at the 9/11 Memorial during a wet snowfall, Thursday Nov. 15, 2018, in New York. Winter storm warnings and winter weather advisories are in place on Sunday. 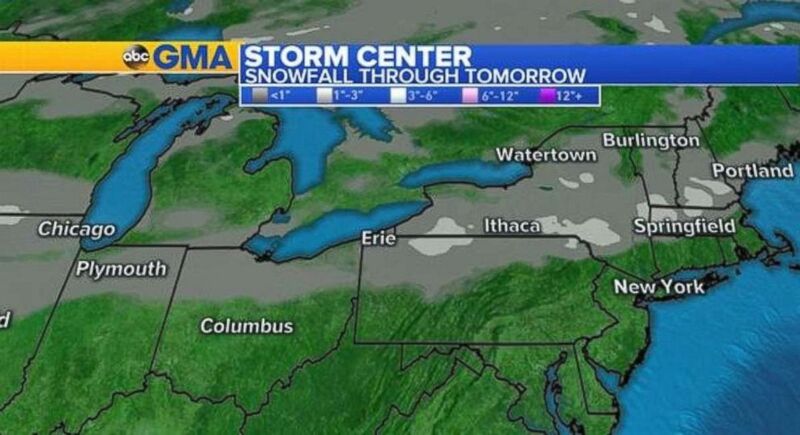 Parts of the Great Lakes and inland Northeast will receive a small amount of snow on Sunday. 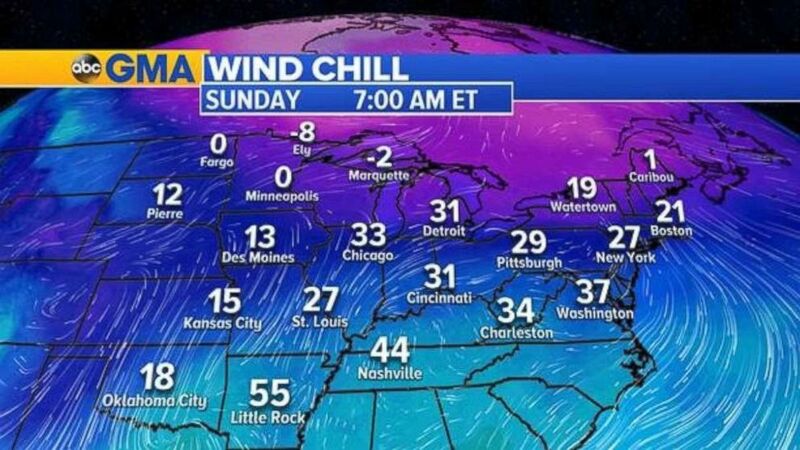 Wind chills will be in the 20s and 30s across much of the eastern U.S. on Sunday morning.